This one is a beauty! It is an elegant planter that is blooming with luxurious spa gifts and delicious treats for her to enjoy! 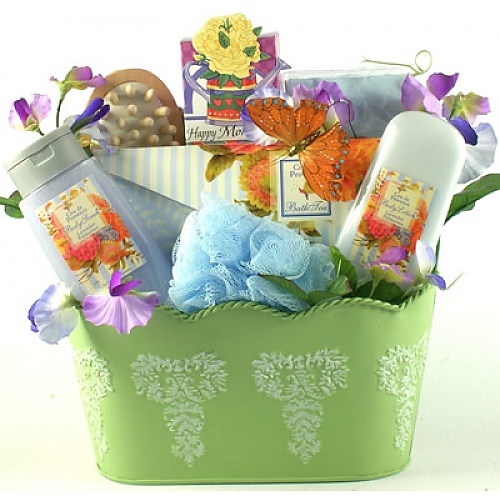 This elegant spa gift basket makes a wonderful gift for any occasion! Trimmed with floral accents, a lifelike butterfly and designer ribbon, this is a wonderful gift arrangement!